Kreino Sdn Bhd was established in 2014. 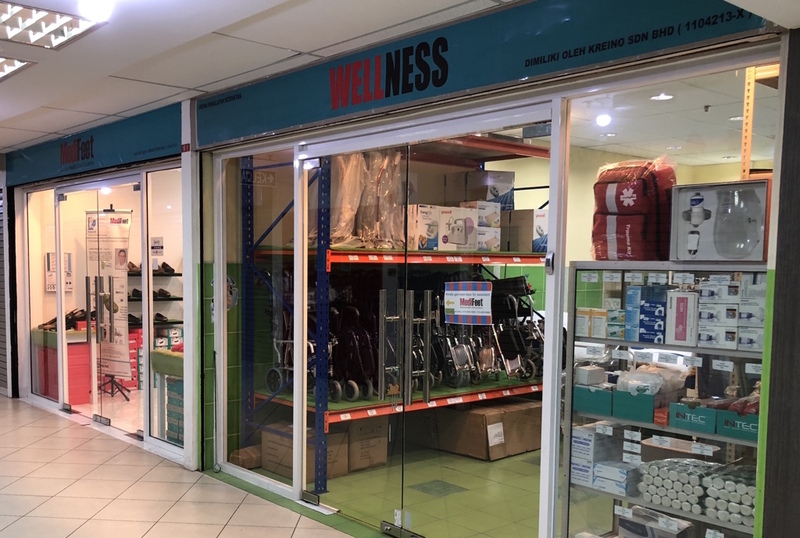 We specialise in providing wheelchairs, commodes, walking aids (such as walkers, walking sticks) and health footwear and Insoles (such as Medifeet, Dr. Comfort & Balance Walker) throughout Sabah, Malaysia. Our showroom is located at Central Shopping Plaza, Kepayan Ridge, Kota Kinabalu, Sabah. It is walking distance from Queen Elizabeth Hospital. Do drop by at our shop whenever you are free. Kindly make appointment at 019-638 9899 if necessary.